This is a Harajuku brand from designer Yoshie Itabashi which has continued to remain on the forefront of popularity for around 20 years. Based on the concept of “NO RULE NO AGE”, this unique design for girls and women who enjoy fashion with the free idea of not forgetting the desire to have fun regardless of age has support among people of all ages. This brand offers a selection of items which have playful details, pop colors and graphics you won’t find elsewhere. There are also an abundance of cute character designs and animal motifs. The main location in Harajuku has a deep red exterior which draws attention. This shop offers designs from the same designer of the brand, Yoshie Itabashi. The elaborate displays which change with the seasons are also highlights of the store. This year, the first Mook (magazine book) will be published. 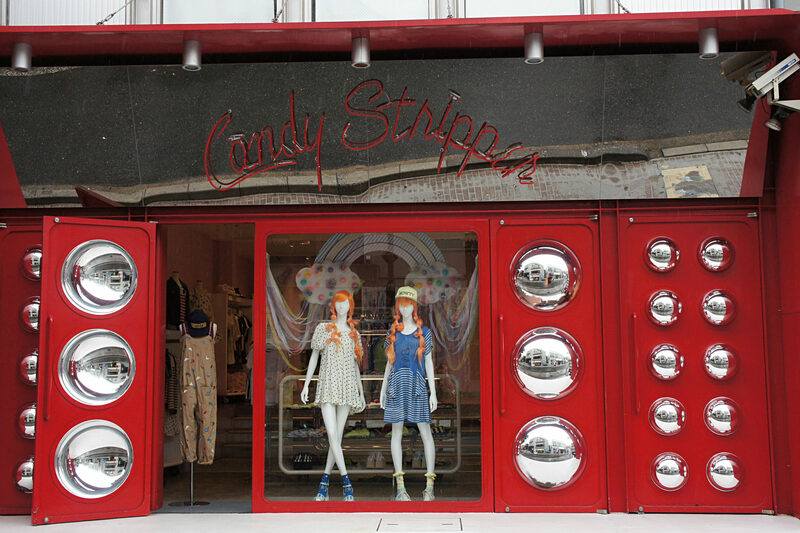 The popularity of Harajuku store brands continue to evolve without fading away.